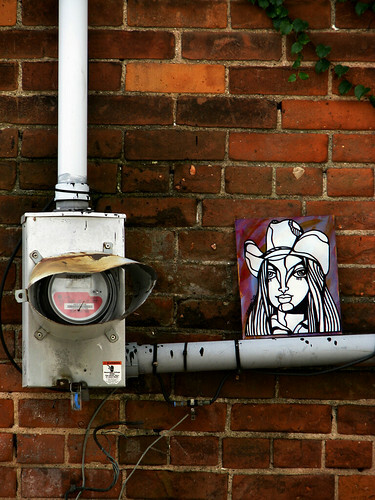 I haven't placed any free art in my neighborhood for quite some time... so I placed a piece in one of my favorite alleys. That's awesome. Great. Fantastic. The whole thing. I love it. I mean it. I swear. No empty phrase.